To order a shirt, please choose from the available choices below. Make sure you pick the proper size. All sales are final. 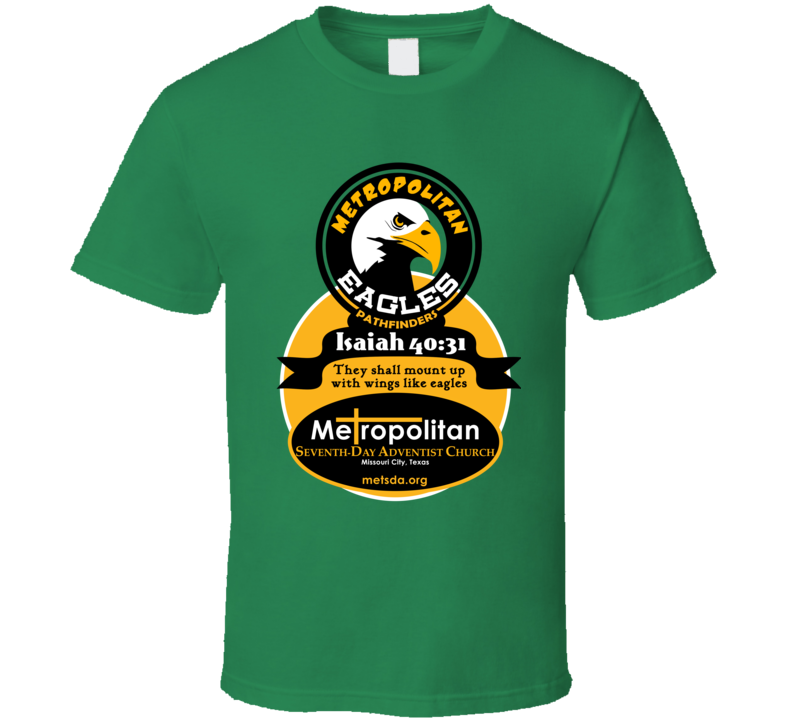 The official local club t-shirt for the Metropolitan Eagles Pathfinders. Heavy-weight 100% cotton tee shirt with color print of church and club logo in front. 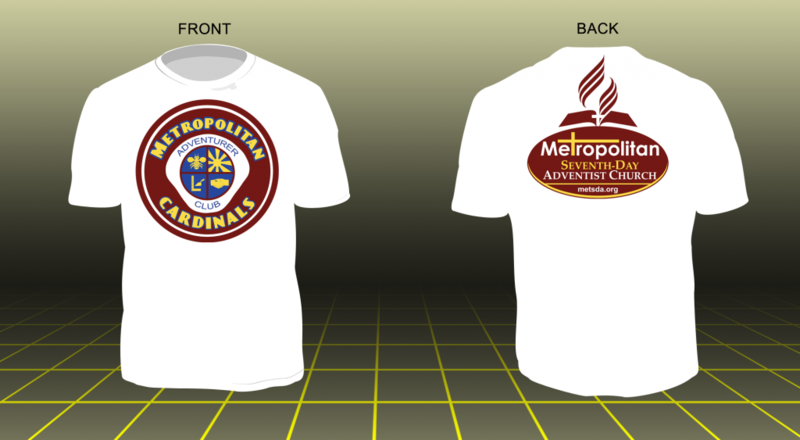 The official local club t-shirt for the Metropolitan Cardinals Adventurer Club. Heavy-weight 100% cotton tee shirt with color print of Adventurer club logo in the front and Metropolitan SDA Church logo in the back.